A new section about Samuel Parson’s map from 1624 has been added under Photos and Maps. Click here. A new aerial photograph of the moor from Spring 2007 has been added here. 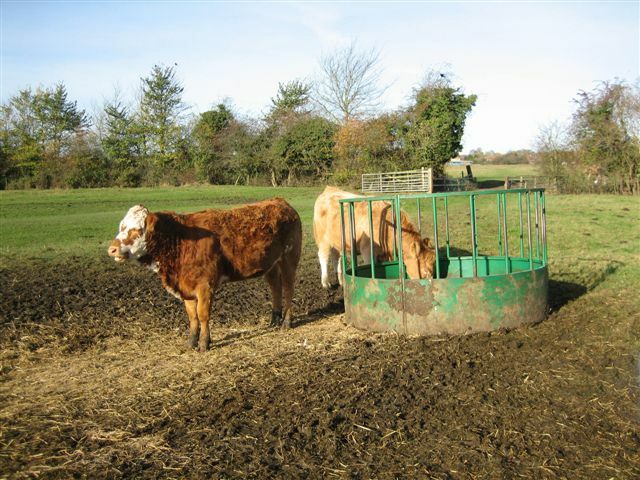 Still no news from DEFRA about when the cows can be moved. Unfortunately they are making the moor very muddy in places. The Council have said they will put some wood chippings down on the bridge area between North Lane Field and the main part of the moor. A couple of recent photos have been added here and here. As the grass has more or less stopped growing, the farmer has provided some feeders full of hay in North Lane fields. A new section on the golf course that existed between the two world wars can be found here. Also, a short section on Kelsey’s Pond here. The cows should be on Hob Moor until the end of the month. There are two breeds, both originally from central France. 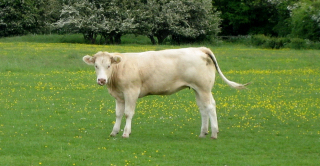 The white and cream cattle are Charolais, and the black ones are Limousin. They were bought at St. Boswells market in southern Scotland and are a mixture of heifers and bullocks, aged between 12 and 18 months. A sketch of Hob Stone from 1825 has been added to the History section here. The cows normally leave the moor at the end of October. 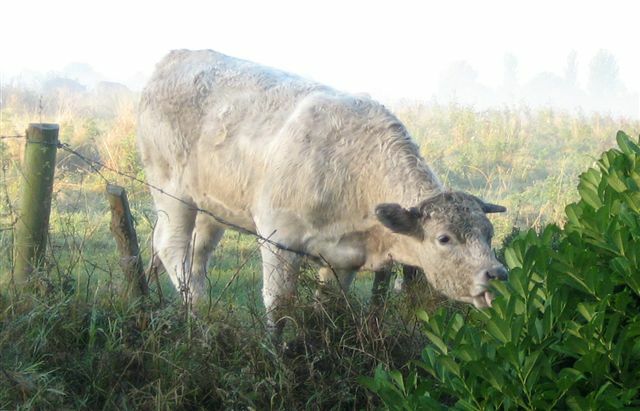 However, because of the Bluetongue outbreak in eastern England south of The Wash, York and all central and southern England are in a “Surveillance Zone” and cattle cannot be moved unless for slaughter. So, we will have the pleasure of seeing the cows for a little longer this year. We’re planning to include a number of old maps and old photos of Hob Moor on the website over the next month. The first couple can be found here. 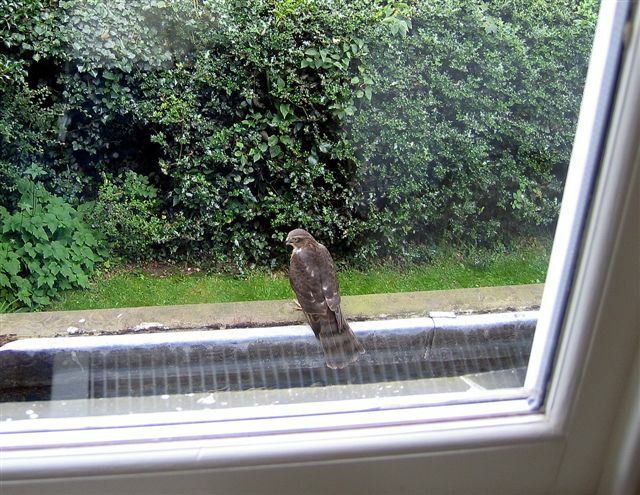 John Guest, a member who lives in a house overlooking the moor, was startled when a sparrowhawk flew into the bedroom window, knocking itself out. This is John’s photo of it as it recovered 15 minutes later. It flew away after a further 30 minutes. A new section has been added about the birds to be found on Hob Moor and, in particular, the skylark. You can find it under About Hob Moor/Local Nature Reserve or by clicking here. On the Butterflies and Flowers walk (see here) with Mark Tyszka, we counted 10 different types of butterfly (Speckled Wood, Meadow Brown, Holly Blue, Skipper, Small White, Green Veined White, Peacock, Gatekeeper, Ringlet, Comma). 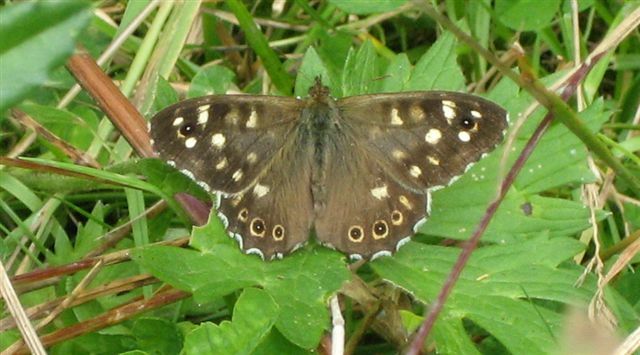 The picture below is a female Speckled Wood taken on the walk. The areas on either side of the cycleway have been mown as part of the plan to reduce the spread of creeping thistle across the moor. See the Events diary for the annual Hob Moor Local Nature Reserve celebration day on Saturday 2nd June. New website goes live, replacing the old Communigate one. Birds on the moor – there were sightings of the following this month: 300+ starlings; 40 rooks; a kingfisher. During the summer months (late April to end October), cows graze on the moor. This year they are mainly bullocks and there are 59 of them.